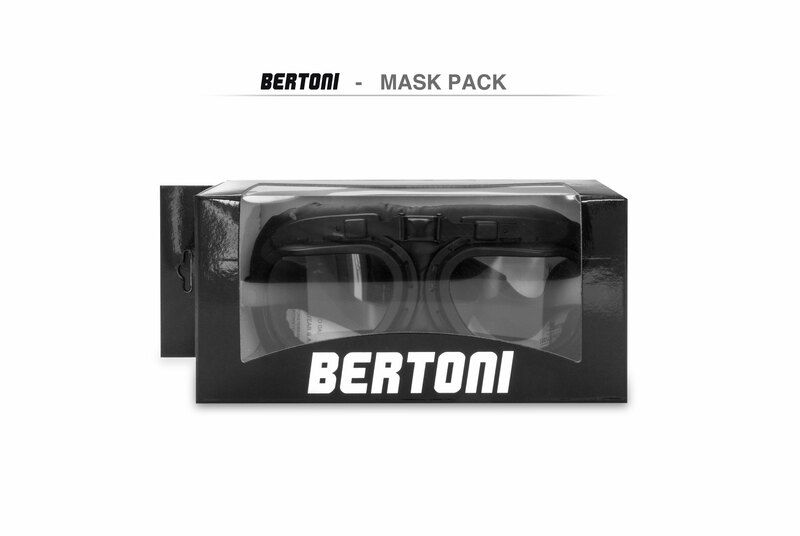 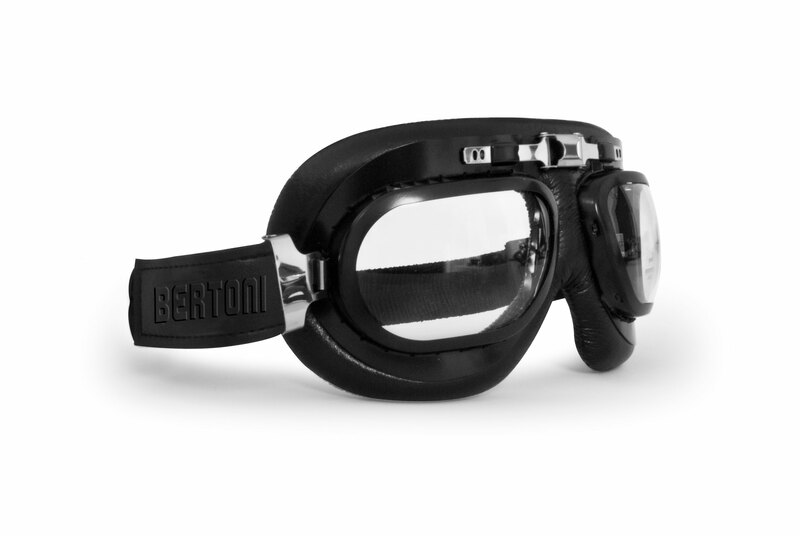 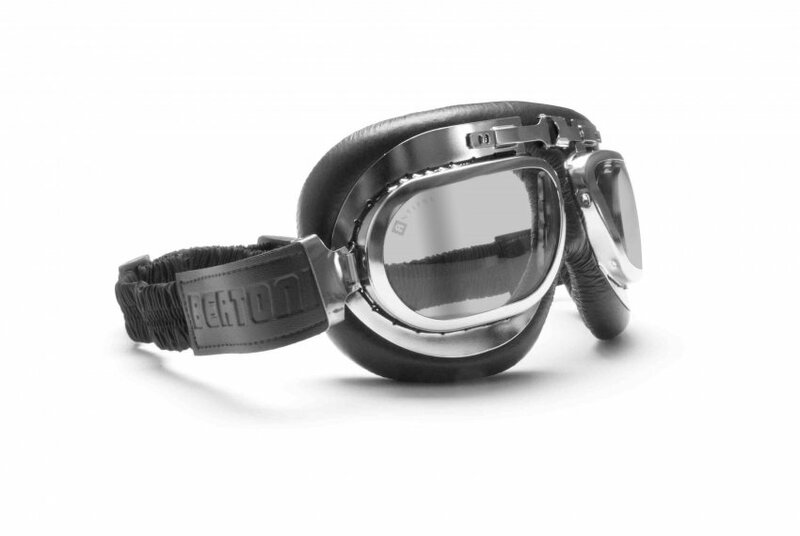 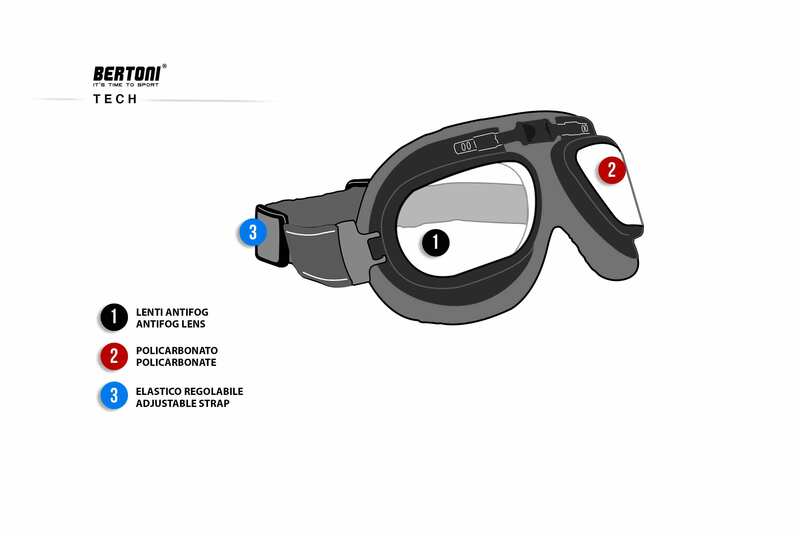 Black Vintage Goggles with mat black steel lens' profiles and anti-misting areators. 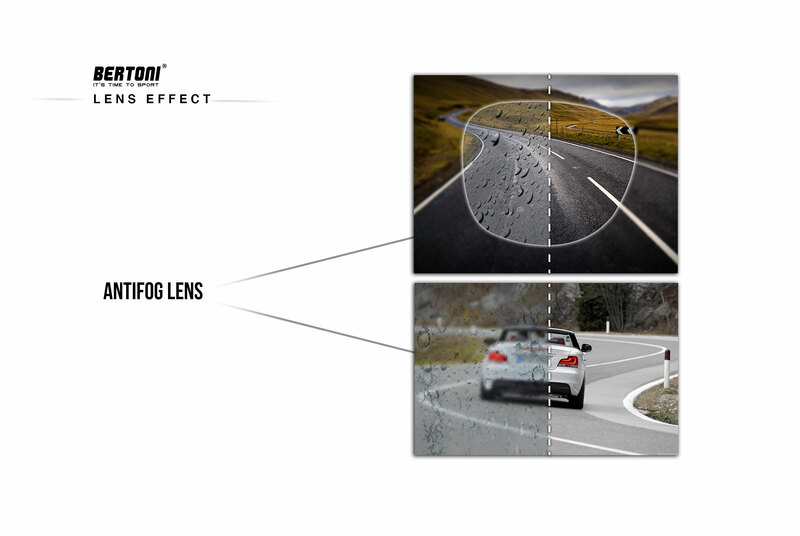 Clear Antifog lens in anticrash polycarbonate 2,4mm - Wide peripheral vision. High quality black adjustable strap covered and embellished by black silk. 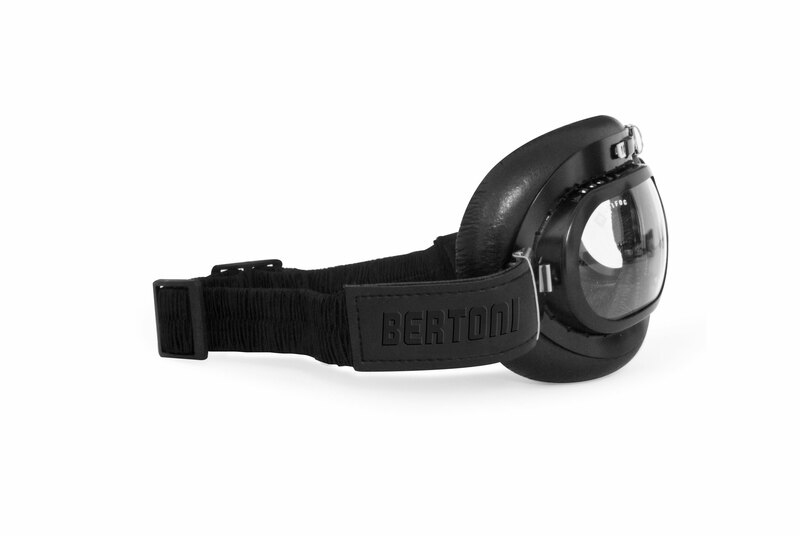 The adjustable and elastic strap gives a close fit with any open face helmet. 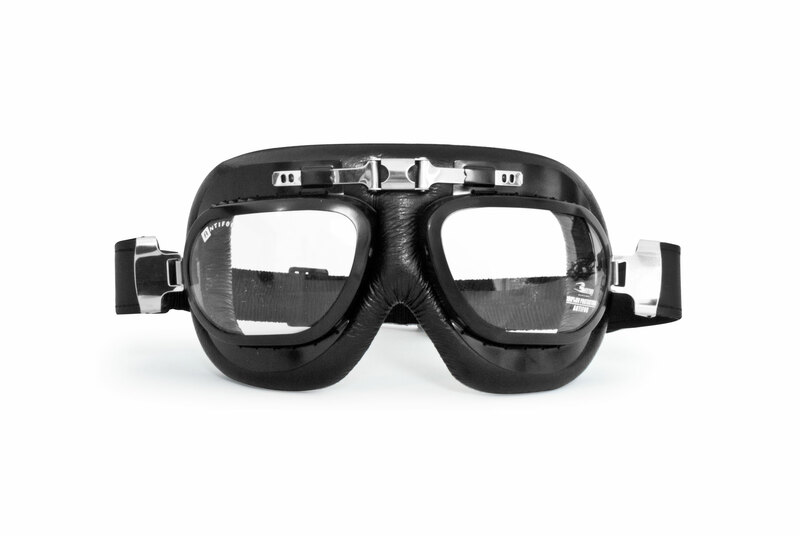 Vintage motorcycle googles for Harley Davidson and choppers.